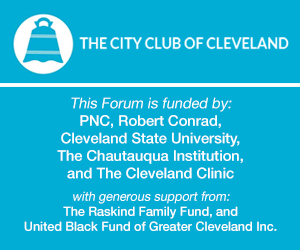 Cleveland has long embraced an economic development strategy focused on a strong urban core and economic access and opportunity across all demographic groups. But how closely are our major party presidential candidates paying attention? The International Economic Development Council (IEDC) understands best practices around the world. Join us for a conversation with Barry I. Matherly, CEcD, FM, 2016 Chair of the IEDC and President and Chief Executive Officer of the Greater Richmond Partnership, on a policy platform they believe provides a blueprint for strong metro regions and a thriving national economy.